I realize what everyone wants to know is this month’s theme, so I won’t dawdle. The theme is . . . Trouble. I will attempt to keep roughly the same submission schedule as last month. I like consistency. Deadline for submission: Friday, August 16th (four weeks seems like plenty of time to write a post, doesn’t it?). Fanfare for the Winner: Saturday, August 24th (vote tallying involves math, and it takes me a while to do math). The rules are pretty much the same. Because I like consistency. 1. 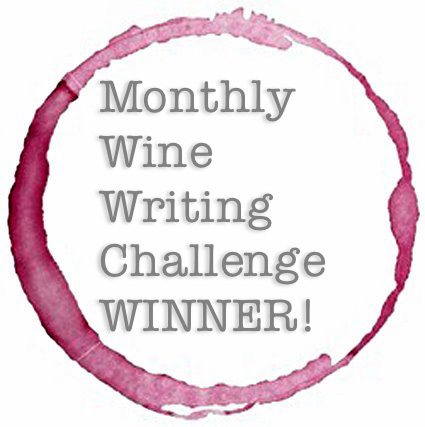 The monthly Wine Writing Challenge is a work in progress. Any (or all) of the “rules” below can be amended or even changed. As long as you are the King/Queen of the Wine Writing Challenge. 2. Write a post/article/essay based on the month’s theme. It is up to you to determine how to interpret the theme, but there needs to be some connection to wine. 3. The post should be between 500-1000 words. More than that, and someone is liable to TLDNR you — Too Long. Did Not Read. 4. The post has to include a connection to wine. This is a wine writing challenge, after all. 5. Post your article/essay on your own blog. Link back to this post, send me a link to your post, or include it as a comment here. Or cover all your bases and do all three. I will include a link to all the posts when I send out the voting announcement. 6. Pass it on! I’m sure we all have overlapping followers . . . but we have unique ones, too. Use the social media magic wand and spread the word far and wide! 7. Once voting begins, you can vote for your three favorite posts, but you can’t vote for yourself . . . or the host. The winner will get to be King/Queen of next month’s challenge. P.S. I think we ought to have some sort of snazzy logo or badge for this challenge. Any of you creative types out there good with graphic design? Previous Post: Wow! You like me . . . ! Next Post: The Oldest Winery in Ohio . . . Check. Wow, this sounds like an incredible idea! Thanks so much for hosting! As for the badge thing-a-ma-bobber–I got nothing. Can’t wait to see what you come up with! I got nothing on the badge, either . . . Salud! Hmmm, I’m going brain dead on this one. Wine is typically used as a cure for troubles (emotional, for the most of the cases), or becomes a precursor to the trouble (especially when consumption limits are ignored). But to link wine and trouble in the sensible way… not simple…. I prefer to write about wine and happiness. Anyway, I hope 4 weeks is enough – might not be though…. It sounds like you’re officially challenged, then . . . 😉. Who says it has to be sensible? Have fun! You’ll come up with something . . . I have no doubt. Perhaps you should think of it as “the trouble with . . . ” and go from there? Salud!! I accept your gauntlet of trouble, of course it sometimes feels as if that is my middle name. Gauntlet of Trouble . . . I LOVE it!! 😃 Can’t wait . . . Salud! I’m having trouble thinking of something. Does that count? 😊. Interpretation is a beautiful thing, isn’t it?? Also – I’m not great at making graphics, but I think a calligraphy pen dipped in a glass of wine (instead of an ink pot), with the challenge name written in red ink, would be so fitting for this challenge! Probably very cheesy, but it is what it is! Great idea . . . now we just need someone to put design to it! So not my strength . . .
Can’t wait for your contribution, Kim! Good to have you “back”! Salud!! Eish, a challenge indeed….will twist my brains, hopefully at a beach…:) Thanks for the challenge. I am new at this, but what the heck! I’m so glad you wrote . . . hope you had fun!! Salud! Thanks for taking the trouble to participate . . . very much enjoyed reading your post! Salud!! Nervous jitters will not cease. Here’s my submission. It was no trouble afterall. Got it! So glad you decided to write!! 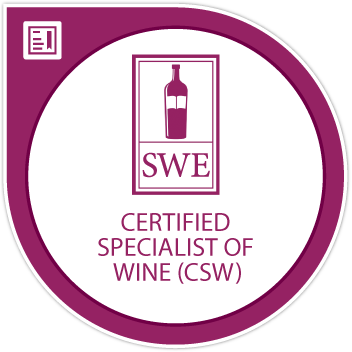 Here’s my entry – although I’ve broken the word count rule (but so did Armchair Sommelier!) Throw it out or accept it….up to you – it was fun to write. Enjoying reading everyone else’s. So many good submissions, a bit daunting! I’m in. Got it! So glad you wrote!! Salud!